Who here loves masks?! If you are a mask freak like I am, then you would love nothing more than to quickly come home, shower and pamper yourself with a nice mask. It is everything I look forward to after a long day! I keep stressing out that I have so much work and assignments to finish that I don’t have time for myself. I realized that since most of my work now involves sitting in front of the computer anyway, why not kill two birds with one stone! It has actually become a routine to pamper myself while finishing my work at home. All you have to do is get yourself ready, wear your comfortable pair of pajamas and put on your favorite mask (be it eye mask or face mask!). The best part about this is that it gives me the opportunity to test out new masks! 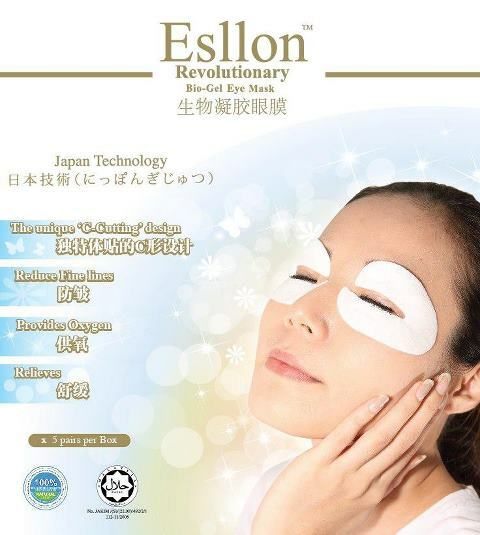 The one I was eager to test out is Esllon Bio-Gel Eye Mask. This one is from Mivva.com March Box. It’s a nice surprise because it is different from the regular sheet masks. The texture is like solidified gel and there are no serums or watery treatments so no worries about spilling! Because it not something I’m used to, it takes sometime for me to figure out how to fit it around my eyes comfortably and perfectly. 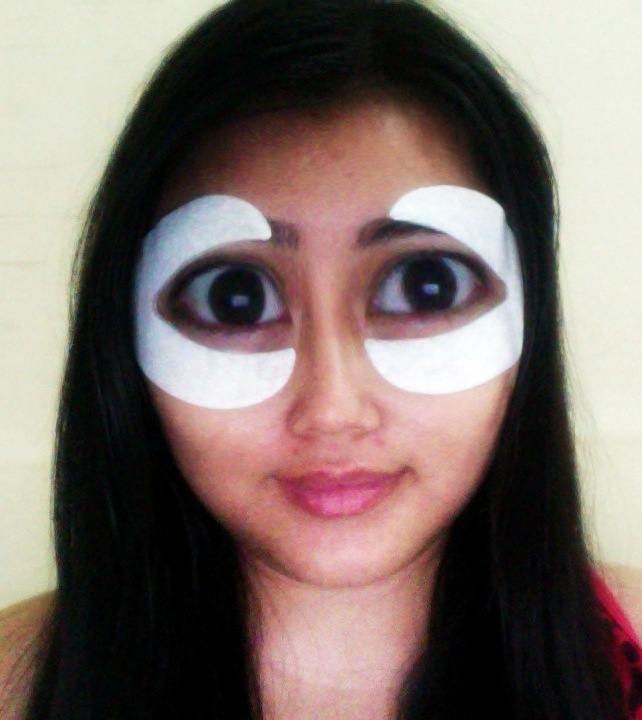 The eye mask feels cool around the eyes, I instantly feel relax. Lol, who says you can't work and have fun? 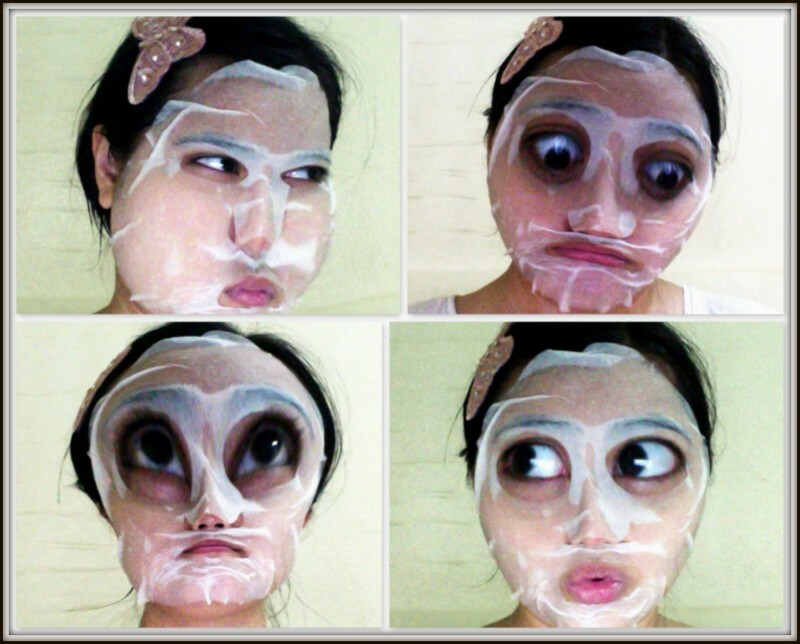 Here's something a little extra; a quick review on two masks, My Beauty Diary Hello Kitty Strawberry Honey Mask and Etude House Royal Jelly Mask. I wanted to try My Beauty Diary Hello Kitty Strawberry Honey Mask (wow a mouth full) because of two things; 1) Hello Kitty and 2) Honey. 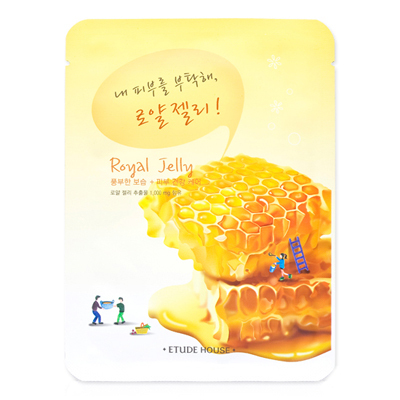 The other one is Etude House Royal Jelly Mask. Now this is my favorite! If you're free for the night, just sit back and relax! You know, this post got me thinking if I should have a regular weekly post like Mask Monday to share what masks I wear, tested and tried the week before. Or probably Monthly Masks? Because I don't change my masks that often ;D If the idea sounds good then let me know! Till then, thanks for reading. Cheers! Timeless Truth Mask Review Party? Oh Yes Please! Hi Ladies! Let’s Have a Tea Party!